YouTube User Account has been terminated because we received multiple third-party claims of copyright infringement regarding material the user posted. This is how users, and the general public at large learn about copyright infringement. 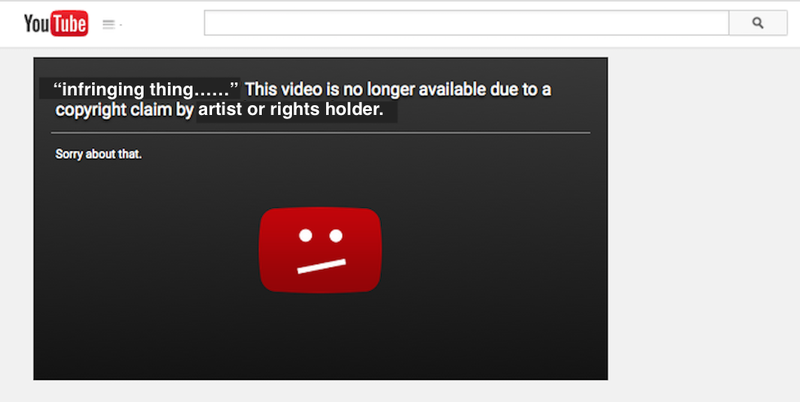 When an account is terminated the YouTube user is learning about copyright and artists rights. Those users should be directed to the artists YouTube channel where the artist themselves have chosen what material to share and promote. Some have noted receiving direct emails from the users whose accounts are being terminated stating that the user knew they did not have the permission to upload the infringing content, but are doing so without profit motive. As much as we can appreciate that sentiment by the users, this is not the case for YouTube and Google who profit from a business built on “User Pirated Content” which attracts one of the largest online audiences in the world (thanks to our work! ), and is monetized with advertising.